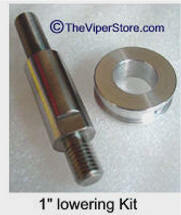 Extremely High Quality all metal product! One of the few things that can be improved on the Dodge Viper is the length and feel of the shifter. 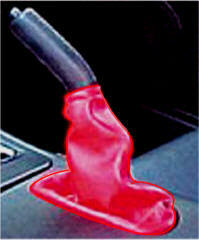 Luckily we offer the perfect solution with the short throw shift knob. 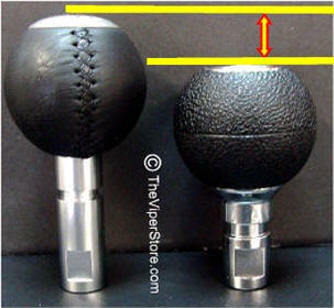 The Gripper shift knob is the most popular knob due to its great feel and classic good looks. The manufacturer has gone a step further with their newest rendition to give the shift knob for the GTS and RT10 an awesome new look. 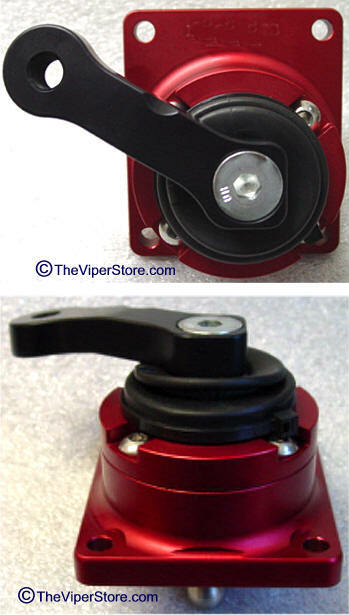 Each knob is CNC machined from solid aluminum and then high polish triple chromed or silver satin anodized to perfectly match the interior accents in the various year Vipers. 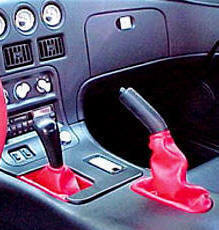 This knob fits all year Vipers from 1992-2002 RT10 and GTS. 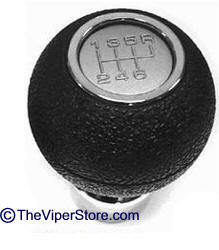 Viper Gen2 Shift Knob - For Cognac interior from Dodge. OEM part. High quality leather replacement shifter boots. Available in red, black, blue, or Yellow. Match them to your body color for an excellent, custom look. 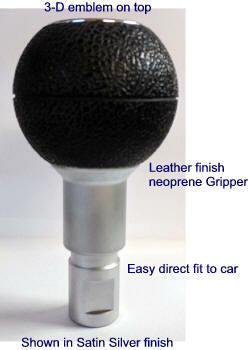 This top quality Short Throw Shifter provides smooth and crisp shifting. This Short Throw Shifter is designed to reduce the distance your hand needs to move to engage the next gear, thus reducing the amount of time spent shifting, reducing wasted time between shifts, and resulting in improved performance. 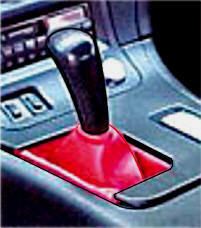 We have decreased throw by reducing the angle that the shifter shaft travels through during its stroke between gears. This design changes the pivot point geometry of the short shifter from the stock factory shifter to reduce the distance that the upper section must travel to achieve the same degree of movement in the lower section where the shift rod engages. This ensures that although your hand is moving a shorter distance, the transmission is still fully engaged in every gear, and is carefully designed to create the optimal throw length, angular shift throw, and shift knob height. The design also includes springs to help users accurately move from gate to gate, to help prevent missed shifts and over revving of the engine on down shifts. The end result is a shorter, precise shift, which requires a shorter hand movement to engage the next gear, and looks and feels sportier. 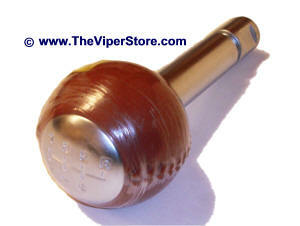 Made out of 6061-T6 CNC machined billet aluminum, durable nylon pivot ball and stainless steel stem, with rubber boot. Springs included with this unit are designed for the performance minded driver. 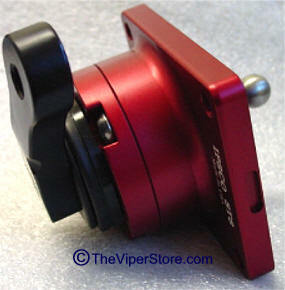 Direct bolt-in and will work with the stock factory knob and isolator, or an aftermarket shifter knob using 1/2-20 UNF threads.